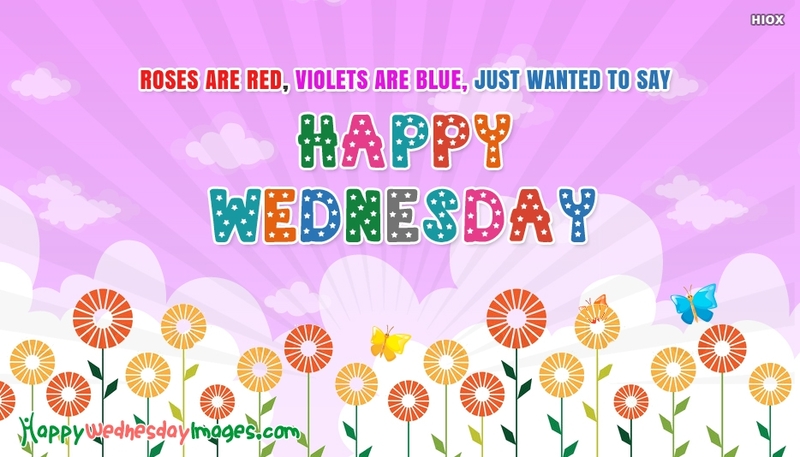 Begin your day by sending this happy wednesday greeting image to your girlfriend/wife/sweetheart. Send this good morning wish with the quote "Roses Are Red., Violets Are Blue. Just Wanted To Say Happy Wednesday To You" and make them feel special and loved on the beginning of the day.